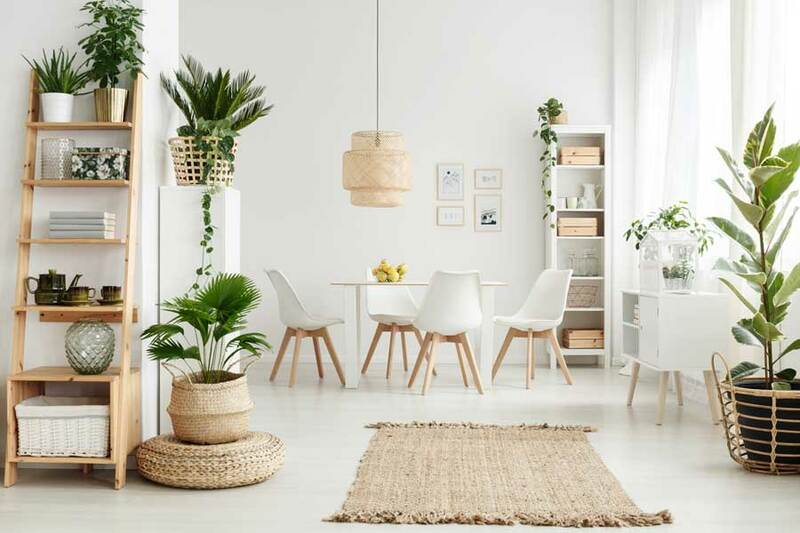 In the era of Pinterest and a million DIY projects, ordinary household items are gaining fame and recognition as modern and aesthetic home decoration pieces. From old Mason jars to finished toilet paper rolls, everything has a purpose. And just like those items, ladders have now become a staple in many homes. So, if you have an old ladder which is not strong enough to hold your weight, or is planning on throwing it away, then think again. You can easily jazz it up and make it look as good as new which is just what your home needs. If you don’t have one, then you can just about find a ladder shelf at any furniture store. Ladder shelves can be used for various purposes. Some might even take you by surprise. Ladders add an extra edge to your average bookshelf. The modern vibe coming from the ladder is exactly what your bedroom needs. If you don’t have a lot of space in your house, or you don’t have a balcony and back yard, then a ladder shelf will be a saving grace. 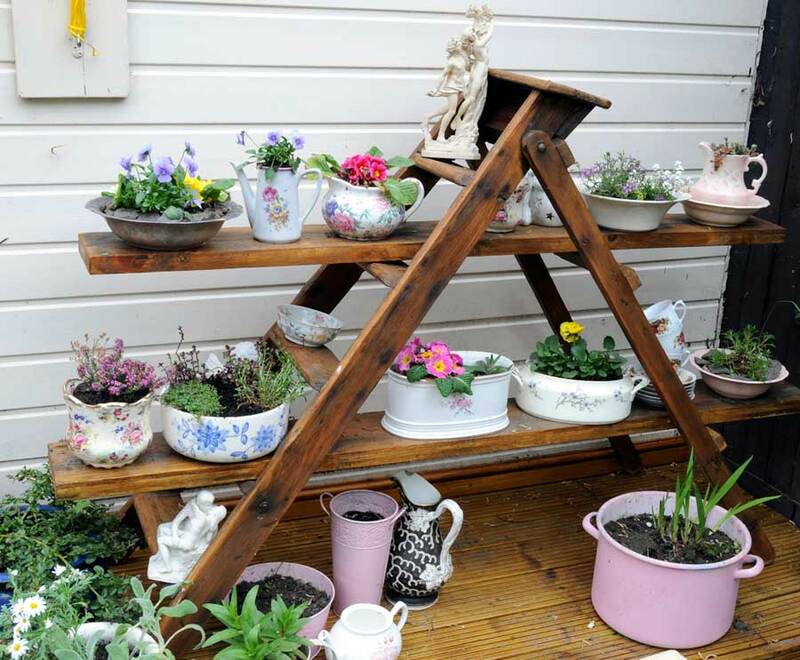 You can install as many plants as your heart desires on the ladder. As more people are into the rustic and industrial look these days, a ladder shelf is a perfect fit for a living room. Your vintage and modern showpieces will go great with the ladder. Many bathrooms come without built-in cabinet space. A ladder shelve can be a great help in such situations as it has enough space to hold all your necessary items and more. All the while, it will give your bathroom a whole new look. Now, this is more for the convenience than the presentation of the shelf. In small and narrow storages in apartments, this ladder shelf is like a leather glove as it will hold all your cleaning supplies. 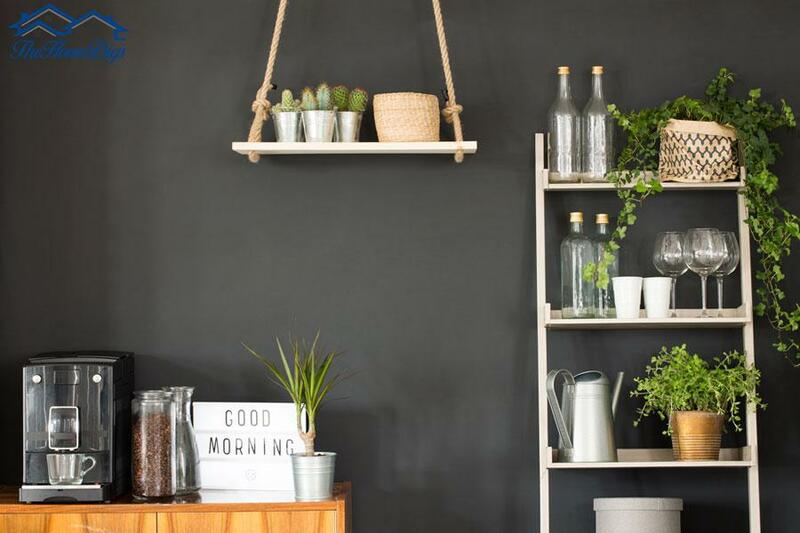 There are many other ways you can use a ladder shelf in your home. If you have items to store and want your house to look good with the storage unit, then they are a perfect option for you. Decoration is not always as easy as it seems; you have to keep the color and theme of the room in mind. You are also going to have to be tasteful with the choices and your decoration. If you keep it very simple, then it might look like you did not want to put in the effort. But if you try to do something fancy, it might end up looking like a cluster. To help you out, here are some tips to help you decorate your shelf ladder. The very first thing you need to look at is the size of the ladder shelf you want to buy. Not all spaces will allow you to squeeze in a full-length ladder. So, measure out the space you are planning to place it in before you make the purchase. And if you are using an old ladder to do the job, then it would be better to resize it. Now, with the boring step out of the way, you are going to have to determine the color you want for your shelf. They usually come in whites, browns or dark browns. But you can, in fact, repaint your ladder shelf to make it a part of your house. If, for example, you want to make your plain white living room lively, then it would be nice to paint it in a bright color. That would easily brighten up the mood of the room. You could even go for pastels and mints if you still want to keep the light and airy feel in your house. The next thing you need to be mindful of is a person’s line of sight. This is important if you want people to be able to see and appreciate it. When you place different items on the shelves of the ladder, be sure to place the heavier and bulkier ones at the very bottom of the shelf or at the very top. Places where people are likely to look at after they have seen the other decorative items. The shelf which is right at eye level should be decorated with all the best of your showpieces or art. As this is the first one people will see, they will have a good impression of the whole thing. But do keep in mind that you’re not supposed to place all your best items on that one shelf, keep it light. Rather go all out for the shelves right under and over the one at eye level. You can use books and trinkets to fill the space right up. A good tip to use while decorating your ladder shelf is to avoid using only one type of item to fill all the shelves. What I mean by that is, don’t just use showpieces to decorate it. Rather you should use books, magazines, plants, and flowers in places too. Otherwise, it will just look too uniform. Another way you can decorate your ladder shelf is to dress it up for all the holidays. On Christmas, for example, you can paint it red. Moreover, you can even stack up all your presents on the shelves. You can design it for other holidays such as Halloween, and thanksgiving the day as well. For Halloween, you can even give it a dark look and cover it up from top to bottom with scary objects and candies. Is there any better way to prepare for your favorite holiday than this! How you want to decorate your house, or your ladder completely depends on your taste and choice. It also depends on the current theme and color combinations you have going on in the room you want to fit it in. Keep all these things in mind when you decorate the ladder. I hope my article has been of some help to you. If you found the article helpful, please share it with your friends and family.